This smoky, spicy, Cajun shrimp and sausage gumbo is out of this world delicious and better yet, super easy to make with instant roux (one of my fave cooking shortcuts)! 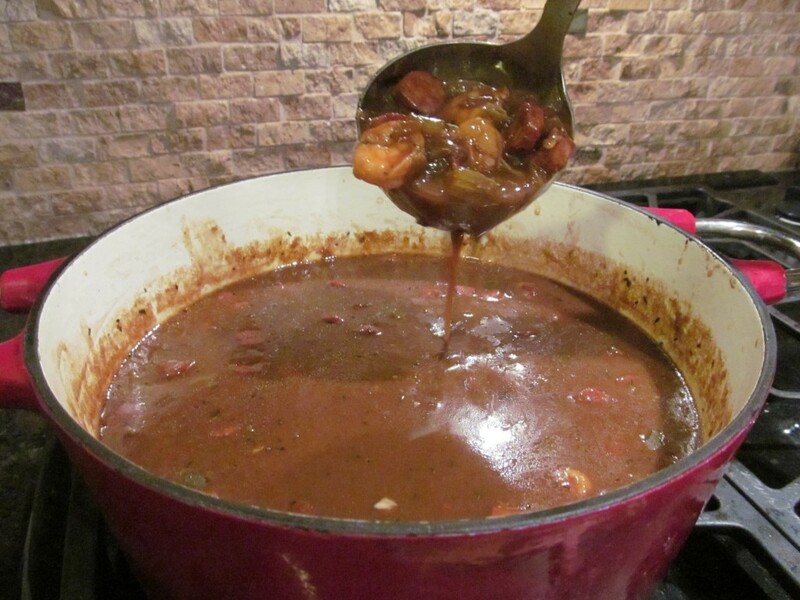 If you’ve never made shrimp and sausage gumbo because of the “roux factor,” take heart. 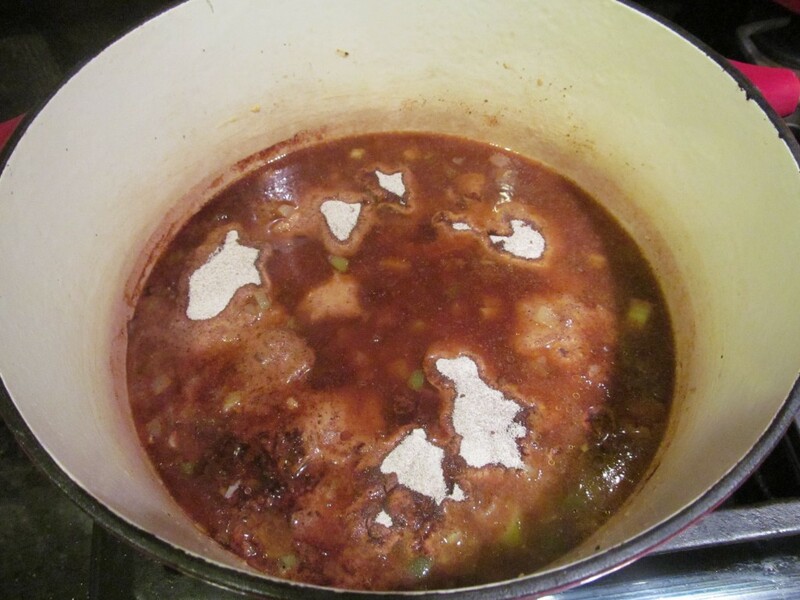 You can skip the arduous task of making roux from scratch and still have the best gumbo ever! Several years ago, our friend Bobby Hewitt served some of the best gumbo we’ve ever eaten. When I found out that he had used Tony Chachere’s Instant Roux, I couldn’t believe it. The gumbo tasted as good as any I’d ever eaten. Since then, I’ve been sold on shortcut roux and use it every time I make gumbo. Nothing against the scratch version, but seriously, #aintnobodygottimeforthat! 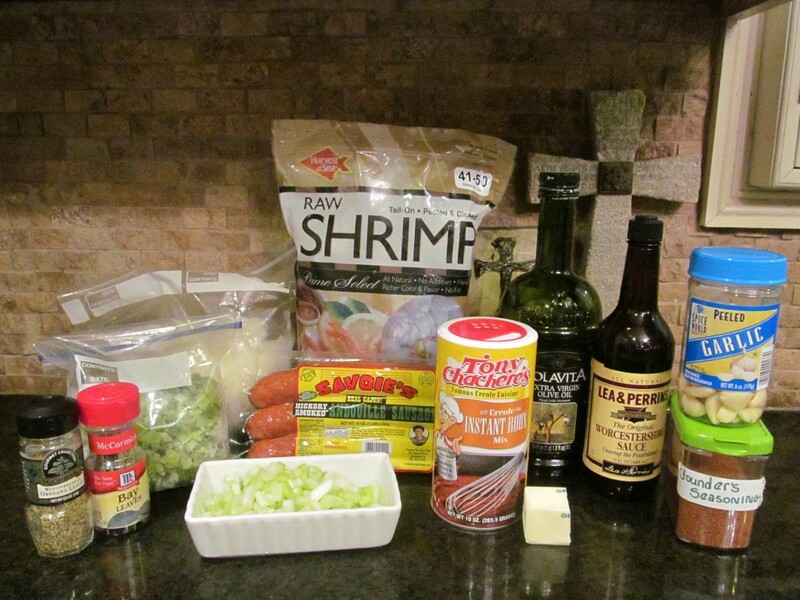 This shrimp and sausage gumbo is my family’s favorite. I’ve taken it to game day parties and served it at small groups, and folks rave. It is so yummy served over white rice and with a chunk of buttery, crusty garlic bread. For serving a crowd, I make a big pot of rice in this rice cooker. 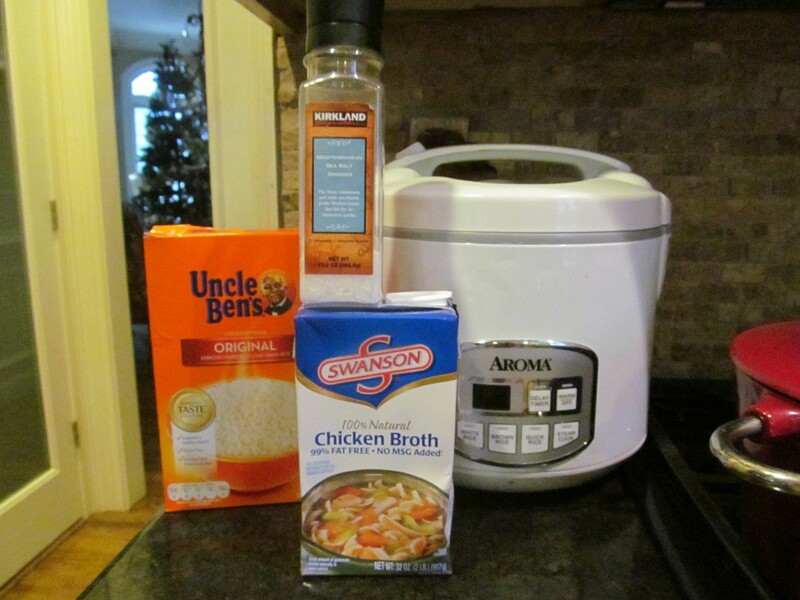 I’ve used this rice cooker for years and couldn’t live without it. If you make this gumbo for a party and need to transport it and keep it warm, use a slow cooker. Keep it on warm (not low) so that the shrimp won’t continue cooking and become tough. My absolute favorite slow cooker is this one. It meets all of my criteria: 6 qt, stainless, digital, programmable, glass lid (I have to peek during cooking), and cook & carry feature. I personally haul food all over and could not survive without a lockable lid. 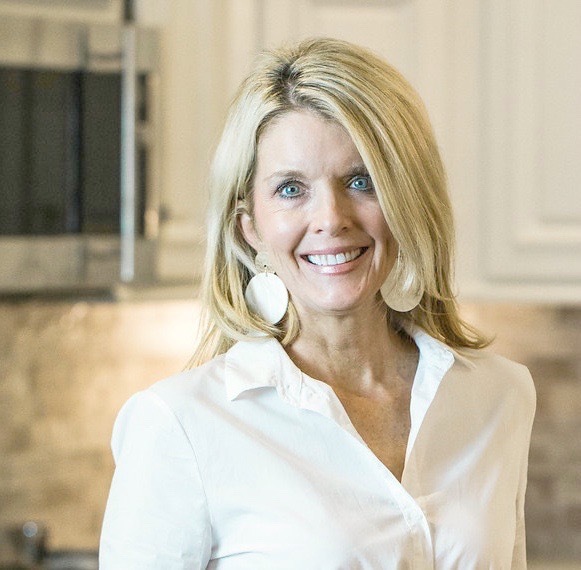 This is amazon’s #1 selling slow cooker for a reason; it is fab! 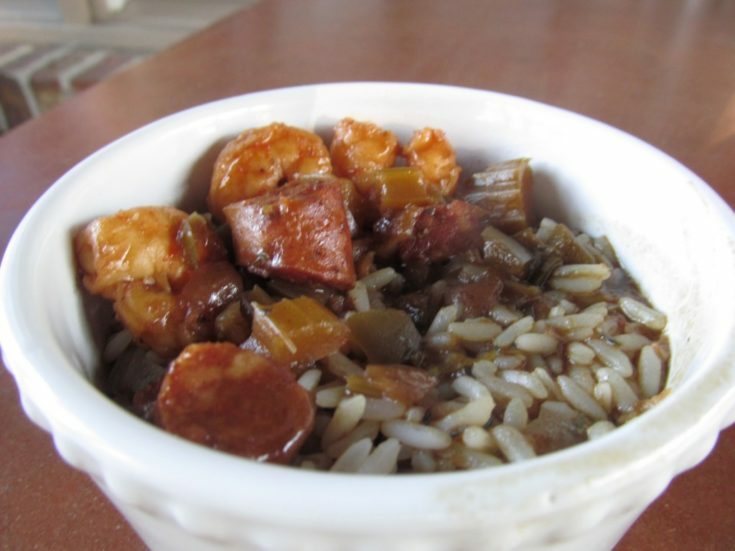 Make ahead tip: This gumbo can be made in two stages. First, the gumbo base can be made~the roux and sautÃ©ed aromatics~a day or two ahead. 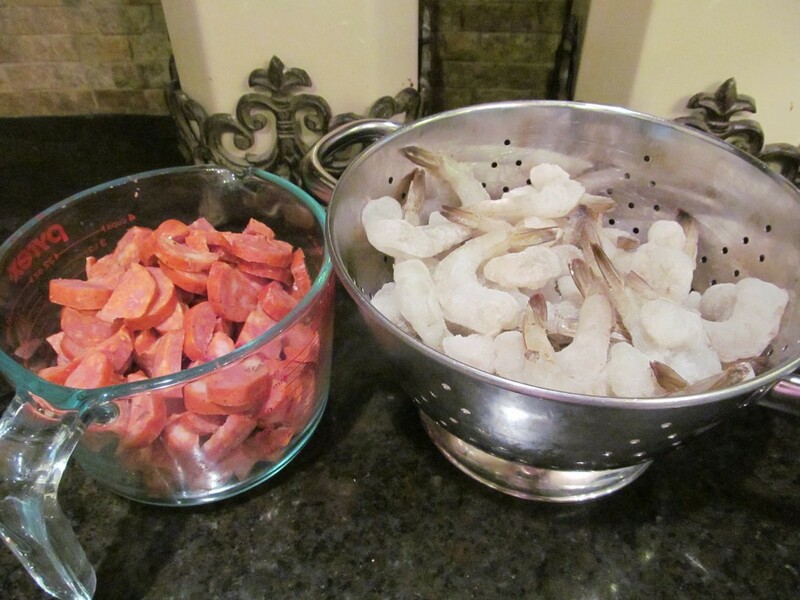 On the day of serving, the sausage and shrimp can be added just a few hours before serving. Sausage: My favorite sausage, hands down, is Conecuh. The hickory smoked is the mildest, and the Cajun smoked is a notch above that. The most kickin’ version is the Cajun Spicy Hot. I typically use the hickory or the Cajun smoked to cater to most folks’ preferences. 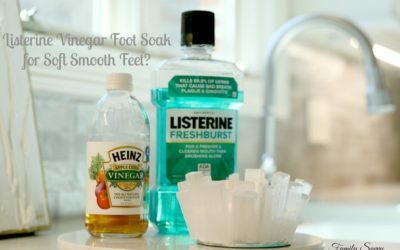 Now that Fall is in the air, give this recipe a try! If you do, please let me know how it turns out, and please share any variations or tweaks with the rest of us. As always, thanks so much for stopping by. 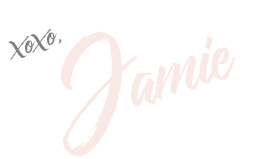 Be blessed, and stay savvy! 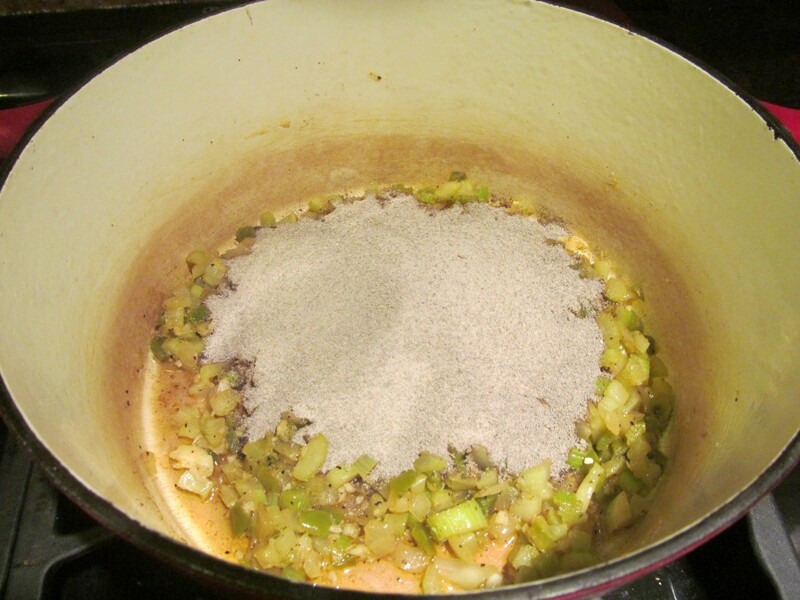 Add 4-6 cups water; simmer…. This gumbo tastes like you slaved all day~but you didn't. The secret? Shortcut roux! In a cast-iron or enamel stock pot, melt butter and oil on medium-high. SautÃ© onion, pepper, and celery for 5-6 minutes or until soft, adding garlic toward the end. Pour roux mix and 2 cups water over sautÃ©ed veggies. Cook on low heat, stirring constantly, until thick paste forms. 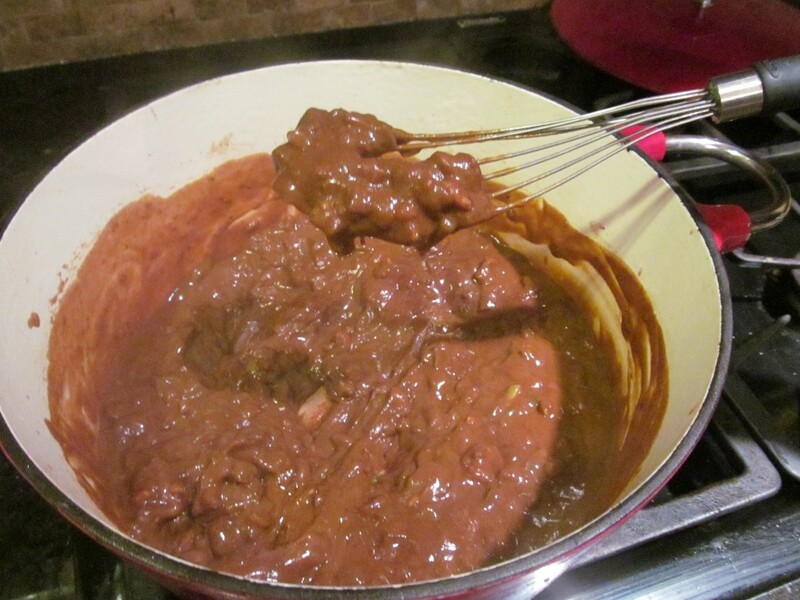 After roux thickens, add 6 cups water; stir until roux is without clumps. Add all seasonings - thyme, oregano, Cajun, bay leaves, and Worcestershire. Cover, simmering on low for at least an hour. The longer the better. 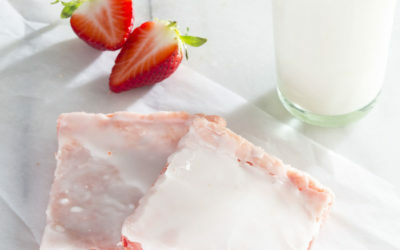 MAKE AHEAD: Stop here. Refrigerate gumbo base until the next day. Dice sausage or slice into thin pieces. 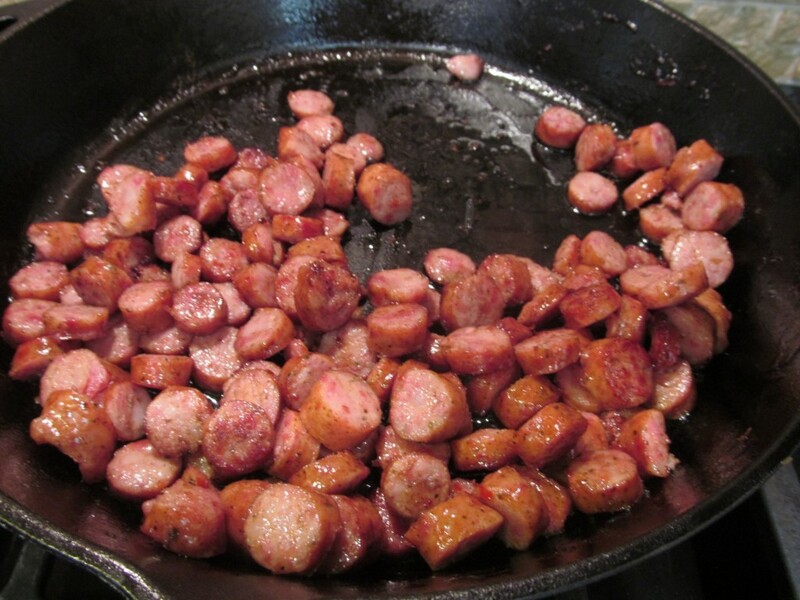 Brown sausage in a skillet to render some of the fat and to form a slight crust. 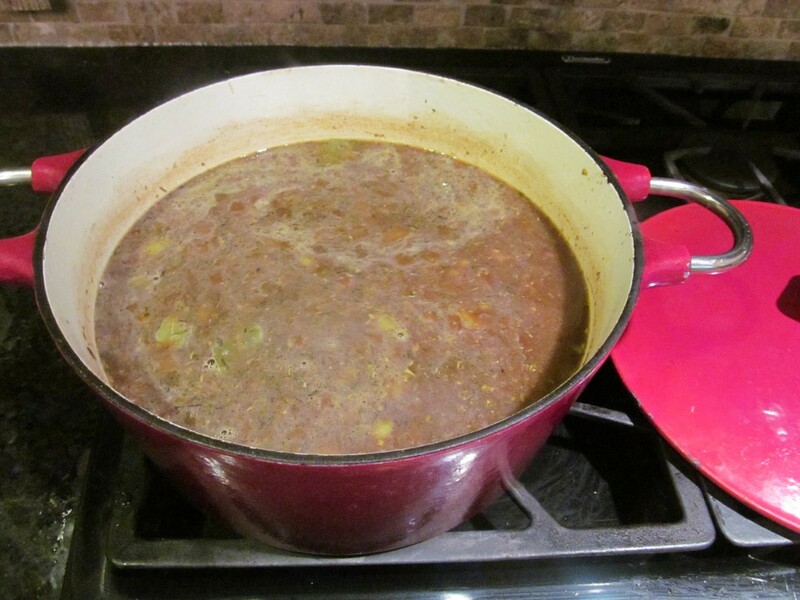 Add sausage to gumbo; simmer on low heat. To the pan with sausage fat, add a splash of EVOO or pat of butter; turn to medium heat. 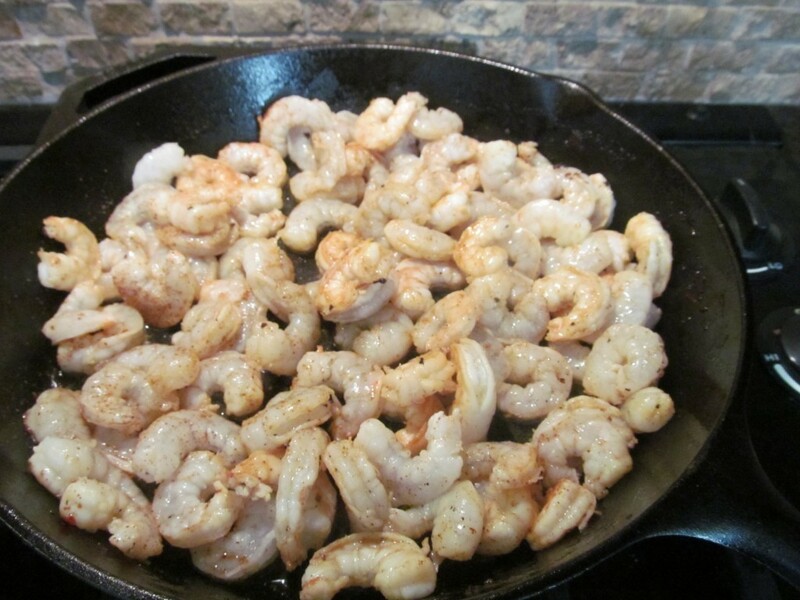 Add shrimp to pan; sautÃ© until shrimp turns pink. Remove immediately. 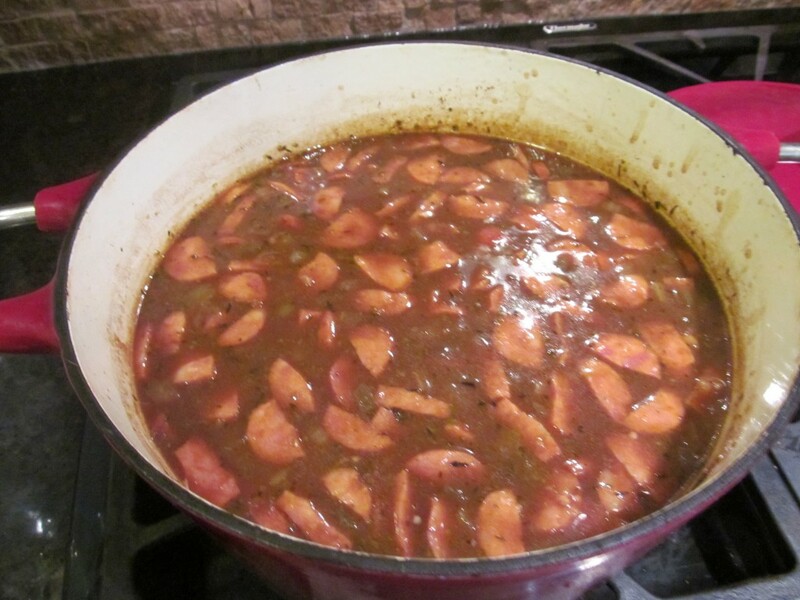 Add shrimp to gumbo, turning burner to low or warm to avoid overcooking shrimp. Serve gumbo over rice. Uncle Ben's converted is best. Hi Gina! I have found it at Publix Lee Branch (but not the Valleydale location). You might call first and make sure before you make a trip. Tony Chachere’s Instant Creole Roux Mix? ?